It is fact that trade fairs are one of the most easiest and cost effective way of reaching to the customers, thus there is increased level of interest in the trade fair and every business wants to be present there. Pop up displays are used for latest displays in the trade fares and they enhance the beauty of the stalls. Earlier the exhibitions used to have a contemporary look with the main motive to present the products to the customers. But now in modern era, these exhibitions have become playground of the most creative and innovative ideas. The pop up displays have given them a new additional dimension, as they are portable stalls which can be easily assembled in less time. Apart from their unique looks, they are very spacious also. Large format print offers all the display and printing solution for the requirements of the customers. The pop up displays also gives solutions for lighting, as they are self equipped with LED lights which completely illuminate the stall. 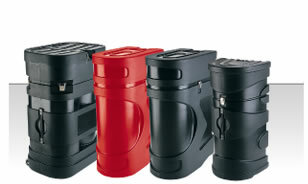 It presents the products in entirely new lights which also attracts the crowd. This type of display banners come in various patterns like normal fabric version, green versions. The pop up displays used in events make the images on the stalls literally pop up from it and catches their attention towards it. We, largeformat print in UK are expert in making your stall completely ready to meet the expectations of attracting crowds. 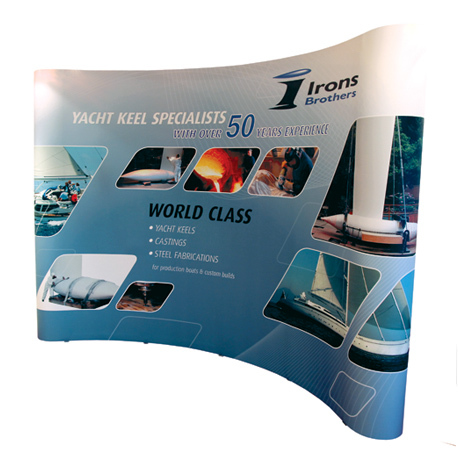 Pop up displays are available in exciting designs and you can buy them at reasonable prices. Today, every businessman is hiring professionals for designing pop up display solutions for the events. Their expectation is just to avail effective designs for their trade shows. We would like to tell you that we can fulfill all the expectations of our clients. It is our objective- to make them satisfied with our services. Pop up displays are successful tools in the field of outdoor and indoor advertising events. It is necessary to give a professional look to your displays. It can be possible for you to give unique looks to your pop up displays, yet for this you need an expert who can implement your ideas in the designs. Large format print is the right place from where you can collect all the latest designs at best prices. If you want we can assemble displays with halogen lights. Later, you can detach the lights while the dismantling of the pop up displays. These are extremely commercially gainful and traders love and enjoy their advertising campaign more than the customers. It is just because of our talented designers. They are capable of designing a flexible range of effective pop up displays. Another part is you are not investing any huge amount for your marketing. Easy to port is the next feature. These are not so heavy that makes a person to transport them from an event place to other. You can easily set them at a place you have chosen for displaying your offers. Many times you have heard that pop up solutions are easy to set up and dismantle. It is true; you can put them back without any stress. You can purchase unlimited designs with flexibility. You can buy them in many shapes and sizes include straight, curved, bent and horseshoe. Either you required extra large displays or medium sized, we can provide you any design at every platform. You can reuse those pop up displays for future ad campaigns. These are the best bespoke tool from which you can convey your thoughts and introduce their newly launched products and services to the customers. Still you need explanations for using pop up displays in events? You can contact large format print and enjoy the great deals. Hurry up! Thousands of free vouchers are waiting for you.